You’ve come across a page of the Moscow Underwater Archeological Club. Our Club was founded in 2006 on the base of Underwater Archeological Expedition of the Moscow Humanitarian University named after Mikhail Sholokhov. 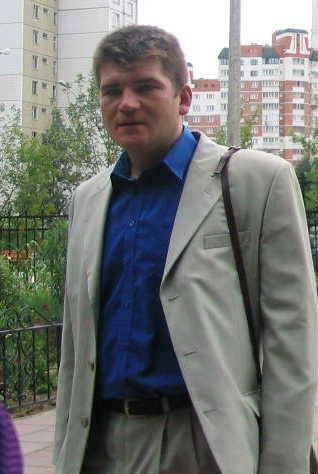 Alexander Berezin is a Head of our Club. The members of the Club permanently participate in the series of underwater archeological expeditions. The Club itself conducts its research in the Black Sea (i.e, Russia, Krasnodarsky Territory) in the area of the Kerch Strait in the interests of the Institute of Archeology of the Russian Academy of Sciences. The expedition of the above mentioned University had worked there in 1990 to 2006 until a decision of foundation of the Club was made, and the whole legal form was handed over to the Club. Our Club cooperates with the leadership of international project “San-Simon” headed by Mr. Ferdinand Karnat, the citizen of Germany. The project was established for the purpose of lifting the galleons in the Bay of Vigo, Spain (location which is known from the history of War for Spanish Heritage depicted as early as by Jules Verne in his book “Twenty Thousand Leagues under the Sea”). Besides, some members of the Club take part in quite a number of projects both on the territory of Russia and outside its borders. Our site contains overwhelming majority of Russian-speaking literature on underwater archeology and allied subjects and virtually all materials are provided with photographs. The forum holds a discussion of not only the news of archeology and diving but also of our internal organizational issues. Our Club is financed through a private source and we, unfortunately, don’t have a possibility to translate all the information into English. Nevertheless, we hope that you haven’t spent your time for nothing.